Weddings take a great deal of passion and commitment - and not just for the bride and groom! Creating a unique setting for each couple, whether their dream day is in a rustic barn or hotel ballroom is something that we love doing. We take a lot of pride in the details to ensure that everything is perfect. 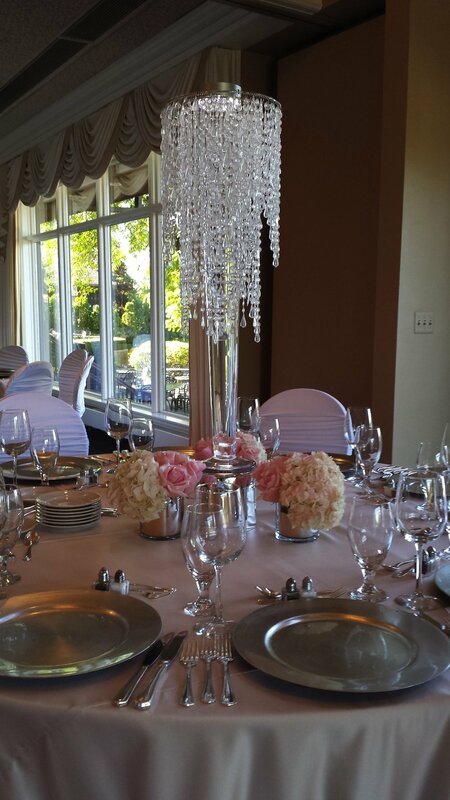 Our initial meeting covers all of your plans and dreams for the wedding day. As we move forward, a secondary consultation gives us the opportunity to present all of the details and ideas that we’ll provide to bring your vision to reality. It’s a collaborative - and joyful - effort every step of the way. Because of the attention, detail, and dedication that's involved in creating your perfect wedding day, our full service wedding prices start at $3,500. We do offer different options. If you’re interested in setting up a consultation, please fill out our enquiry form and we’ll call you to set up an appointment. There’s something special about entering a room and seeing a beautiful arrangement of fresh flowers sitting in the middle of a table. It sets the tone: “This is going to be a beautiful occasion.” Whether it’s an intimate dinner party at home or a gala for 800, flowers and decor add a memorable refinement and style that will long be remembered. Let us help you create one of those moments for your occasion. Please call us or fill out the event enquiry form in the link below. The Petal Lady started designing and delivering weekly flowers to residential and corporate clients and it’s something that we love doing to this day. Each client has a unique style that we help capture to leave a lasting impression on your clients and guests. Whether we’re filling your vases or ours, we’re happy to provide you with the freshest floral displays available each week. If you’d like to have us present you with a weekly delivery quote, please fill out the enquiry form on the link below or call us at 248-797-2171.